The two cases in which summons were served simultaneously on former Secretary to the Ministry of Defence Gotabaya Rajapapaksa in a parking lot of a grocery store in Los Angeles were against individuals has introduced a new element of uncertainty into Sri Lanka’s already uncertain political process, National Peace Council’s (NPC) Executive Director Jehan Perera has said issuing a statement. “There is no certainty even about the date of the election at this time. Members of President Maithripala Sirisena’s party have begun to argue that the president’s five year term ought to end only in June 2020 and not in January 2020 as previously believed. Their argument is that the president’s five year term began to run only in June 2015 when the 19th Amendment to the constitution was signed into law, and not in January 2015 when the president took his oaths of office and commenced his presidency,” he said. Perera said that such a shift in date would be to the president’s advantage, as he would then be in a position to determine the date of the general election. According to the 19th amendment the president as of that date will be able to to dissolve parliament after February 2020. “It is generally believed that holding the presidential election first would be more favourable to the government than the general election. At a presidential election the government would be able to obtain the minority ethnic and religious vote for its candidate, which would not be possible at a general election where in which the ethnic and religious minorities are more likely to vote separately for their own political parties, ” Perera said. The cases filed against the former defense secretary also bring in a further element of uncertainty regarding his possible presidential candidacy, Perera said. 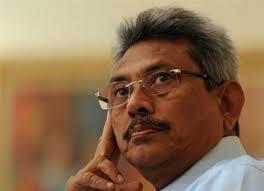 “Gotabaya Rajapaksa has been the front runner to be the candidate from the opposition. He is also generally seen as a person who will get the country moving. However, his position as front runner from the side of the opposition is presently under threat from the president who gives every indication of wishing to be a presidential candidate himself,” he said. The 19th Amendment ruled out dual citizens from holding elected political office, thus Rajapaksa’s dual citizenship status would necessitate a renunciation of US citizenship in order to be eligible to contest the presidential elections. This would ordinarily be only an administrative issue which can be done without much delay. “One local politician has been cited as saying that he was able to renounce his US citizenship in a matter of ten days. It is in this context that the court cases filed against Mr Rajapaksa take on significance. They are likely to have a bearing upon the administrative issues regarding renunciation of citizenship. An issue of consistency and coherence within the US system of government will arise if the actions of one branch of the government lead to him getting out of the reach of the other branch. 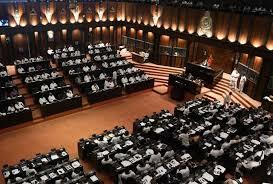 A key issue here will be whether the legal cases filed against Mr Rajapaksa are dependent on him remaining a citizen. Mr Rajapaksa has said that he would take legal measures to have the cases against him dismissed. Those who have filed legal cases against him for violations of human rights that took place in Sri Lanka may be relying on the fact that he is a US citizen to have the charges against him stick in the US court system. 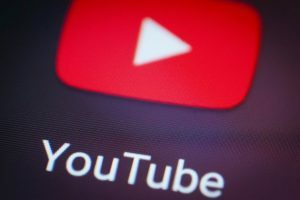 Until such time as these cases are dismissed or decided upon, there could be a delay in the renunciation process,” Perera said.